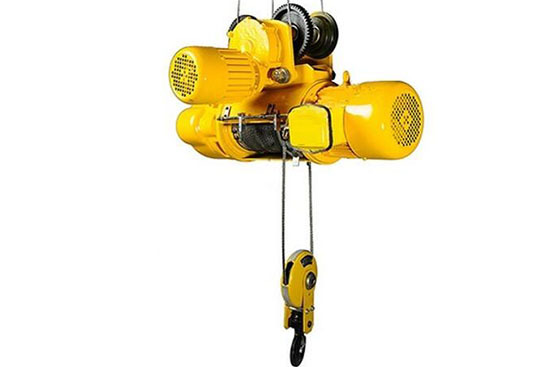 Hook hoist is used to carry heavy loads in modern construction sites, for its short size, easy operation and maintenance, it is widely adopted in ports, wharf, industries, plants, assembling line and garage. Choosing a cheap price but high quality electric hoist concerns every buyer like you, Ellsen is the leading brand of hoist equipment in China, it can provide all the benefits you want. 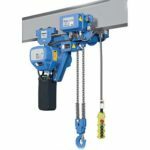 Hook hoists of Ellsen group can be divided into two categories including chain hook electric hoist and wire rope hook electric hoist. And both of them include high-end and midrange model, you can choose what you want. 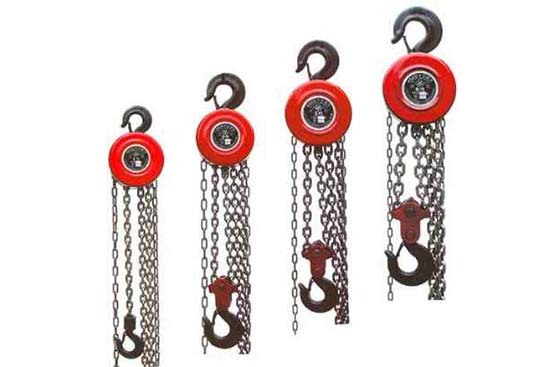 No matter chain high-end hoist or mid-range hoist, chain hook type hoist consists of chain circle, hoist motor and transmission parts. 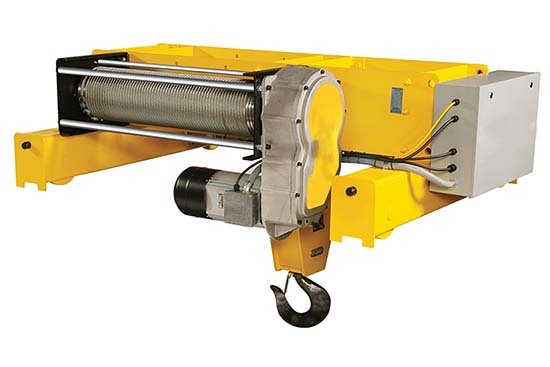 While electric hook wire rope hoist is made up of wire rope, motor, hook, guild liner and hoist drum. High level hook hoist, both chain type and rope type, adopts high quality steel, and they produce less noise when working. 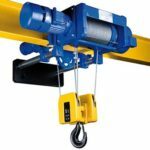 How to operate and maintain your electric hook hoists? 1. New installation hoist and electric hoist overhauled, they should be tested by empty running for several times. And before installation finished, do not electricity turn it while power on. 2. 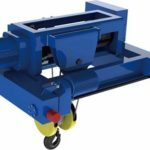 Before first use, test the dead load of hoist in a 125% lifting rated loads from ground 100mm lasting for ten minutes. 3. When hoist hook lower in the limited place, the safety circle of wore rope must more than two circles. 4. Do not push right about movement handle button at the same time. 5. Operator should qualified the operation rules and being trained well. 6. 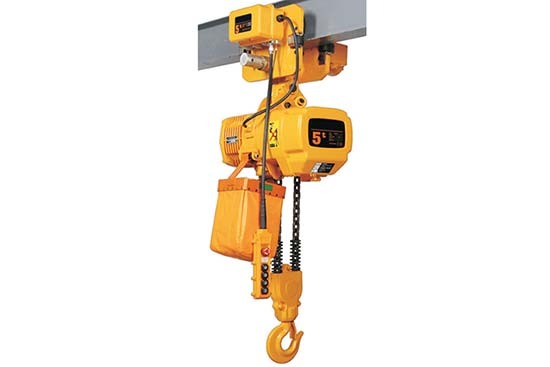 Check the hook hoists in a period to in case of breakdown of your hoist. 7. 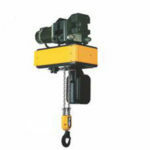 Cut off the power source if trouble happen during working time of electric hook hoists. 8. Pay attention to work condition of hook hoist parts. 9. 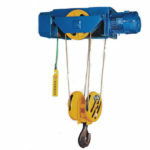 For hook hoist load 10 tons to 20 tons, overheating protection may lead to power off. Once power off, low down the hoist, and the hoist can keep working since the hoist motor cooling.